From Julie Kent's Dancio ballet class. Can you imagine taking class with Julie Kent in the comfort of your own home? Or warming up before rehearsal with master teachers from American Ballet Theatre (ABT) and New York City Ballet (NYCB)? Now, no matter where you live or what you do, Dancio brings ballet class from some of the best teachers in the world straight to you! The new company offers these online classes, which you can take on your own time, from anywhere you are. 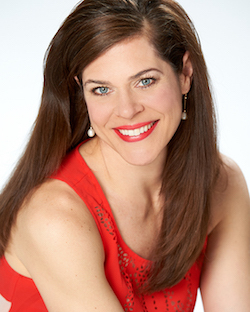 Caitlin Trainor, founder of Dancio and also artistic director of Trainor Dance, knows the struggle of finding time to take class before rehearsal and, thus, started Dancio as a result of her personal experience. From Carlos Lopez’s Dancio ballet class. From Julie Kent’s Dancio ballet class. 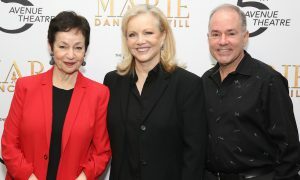 Dancio’s four debut ballet classes are taught by Julie Kent, artistic director of The Washington Ballet; Carlos Lopez, a ballet master with ABT; Craig Hall, ballet master with NYCB and currently on the company’s interim leadership team; and Lauren King, a soloist with NYCB. From Lauren King’s Dancio ballet class. Dancio will offer classes from other dance styles in the near future. 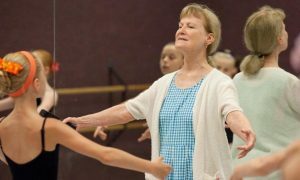 There are plans to expand its library to include classic and contemporary modern dance, African and Indian dance, creative assignments for composition and improvisation, and somatic modalities such as Feldenkrais Method and Alexander Technique. From Craig Hall’s Dancio ballet class. Sign up for the Dancio newsletter and receive Julie Kent’s ballet barre for free! To sign up, click here. And learn more about Dancio at www.dancio.com.